Yellow is this season's it colour. According to fashion industry "insiders" yellow is a big colour this season. It's also the colour of sunshine and spring. 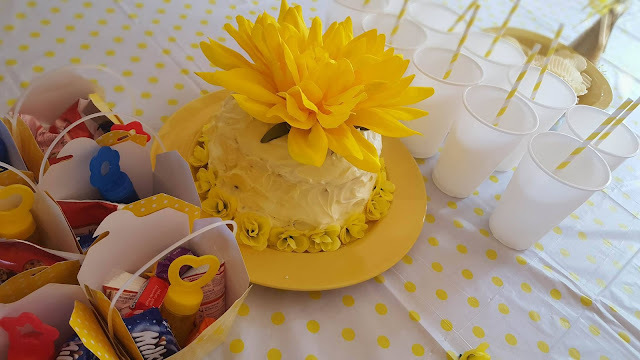 Which are all the reasons I chose to have a yellow themed birthday party for the model daughter. She never wants much. She's really easy going and not in the least bit demanding. All she wanted for her birthday this year was to drive on her own, shop at IKEA and have a small celebration with extended family. The driving and IKEA thing happens tomorrow. She'll drive off with my credit card as I wave goodbye from the sidewalk. The family birthday bash happened today. And it was yellow. Very very yellow. 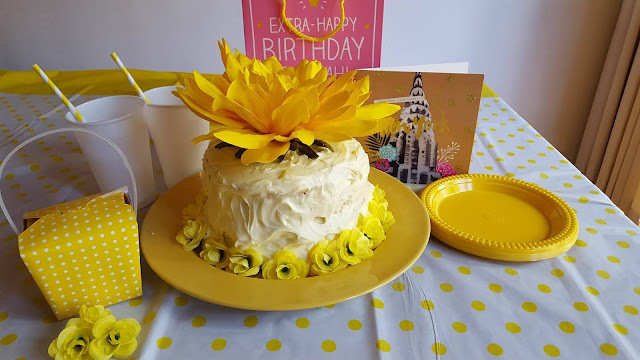 I'm a cake hack so not a single decoration on this cake is edible. The party was attended by a bunch of under 10s which explains the lolly boxes. I'm thinking lolly bags should be applicable to any age. Have you ever had a colour themed party? Got any yellow in your wardrobe? Could that flower be any bigger? 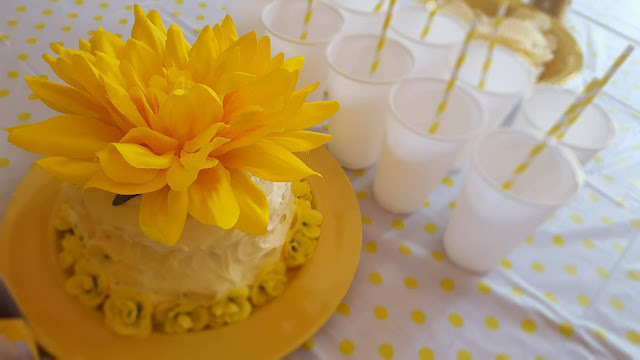 I've never had a colour-themed party! I'm intrigued she wants to shop at Ikea and wondering what's on the shopping list! The party looked gorgeous by the way! Looks amazing. Yellow is such a happy colour isn't it! That cake looks delicious! Who cares if the flowers aren't edible, it's so pretty! Happy birthday to your daughter! I absolutely love yellow too. I was just saying the other day I need a new yellow top! Actually ... I'm not a huge fan of yellow. 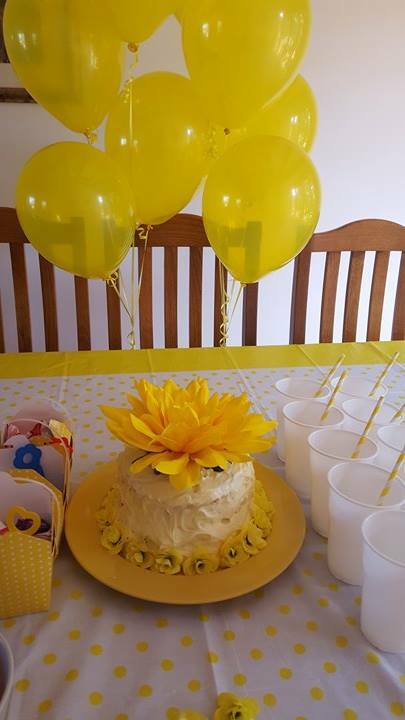 But your daughter's cake and party decorations look lovely! I love yellow it's such a happy colour and great colour theme for a party! I agree. Lolly bags for all! Looks like a gorgeously themed party.